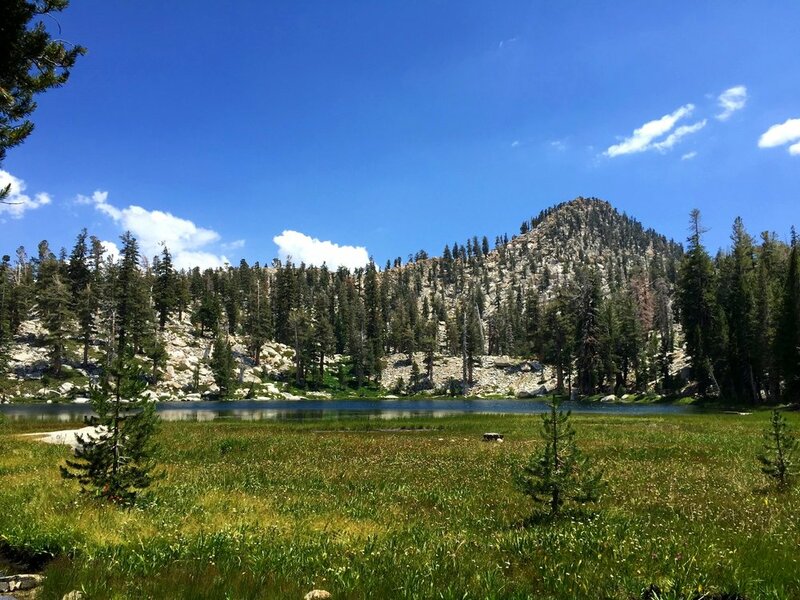 The Golden Trout Wilderness is 304,000 acres of public land on the Kern Plateau surrounded by Inyo and Sequoia National Forests on the southern end of the Sierra Nevada range. 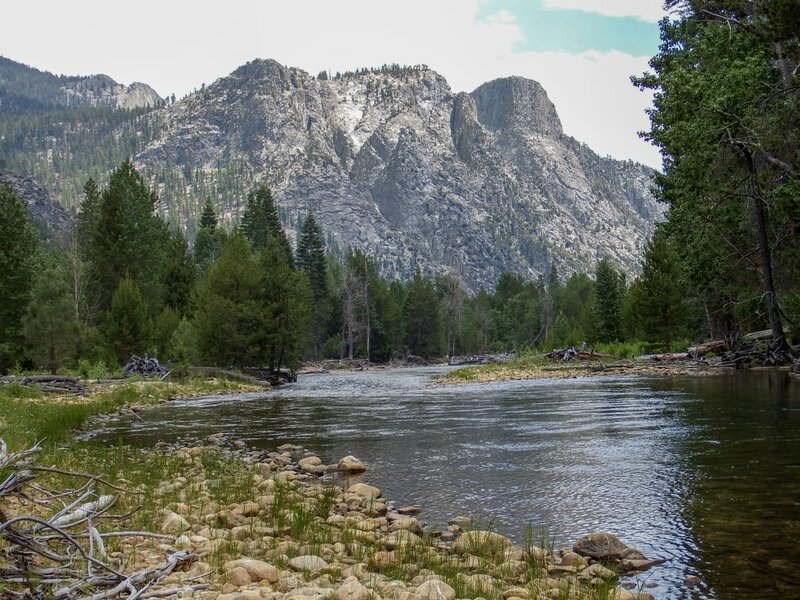 It offers several hundred miles of trail, the designated “Wild and Scenic” North and South Fork of the Kern River, and excellent trout fishing for Kern River Rainbows and Volcano Creek Goldens(its namesake), as well as Brook Trout and Brown Trout. The Golden Trout Wilderness has been the destination of many avid backpackers, rafters and fisherman although it receives a fraction of the tourists that its northerly neighbors, Yosemite and Sequoia National Park, host each year and remains a wilderness in the true sense of the word. The Wilderness boasts stunning vistas, a myriad of recreational opportunities, the promise of solitude and is waiting to be experienced by you. Want to learn how to fly fish? Join our fly fishing course and learn how to improve your technique, read water, pick flies and catch fish! You will be mentored by Jim Roberts, who’s been guiding California rivers for the last 20 years. Jim is well-suited to teach anyone from total beginners to more advanced fisherman looking to hone their techniques. There will be 3-4 short instruction periods a day covering topics including casting, mending, playing fish, reading water, wading, fly selection and advanced casting and nymph fishing. This trip is a five day, all inclusive package to Kern Flats. The trip features a scenic 4.5 hour, 12 mile ride into camp, three days of fishing and personal instruction, and miles of fishable river! This trip is only available July 14-18 with limited spots available! Call us today for more information! Camp steps away from trophy sized Rainbow trout. This section of river is widely acclaimed for incredible fishing and quality trout. The Kern slows down significantly from further north and widens, winding slowly through the canyon for several miles. Fishable on either side and within easy hiking distance of more incredible waters up or down stream. Our camp is located 18 miles into the backcountry and takes roughly seven hours horseback to reach. You will find remote, pristine waters with few, if any, other fisherman on the river. 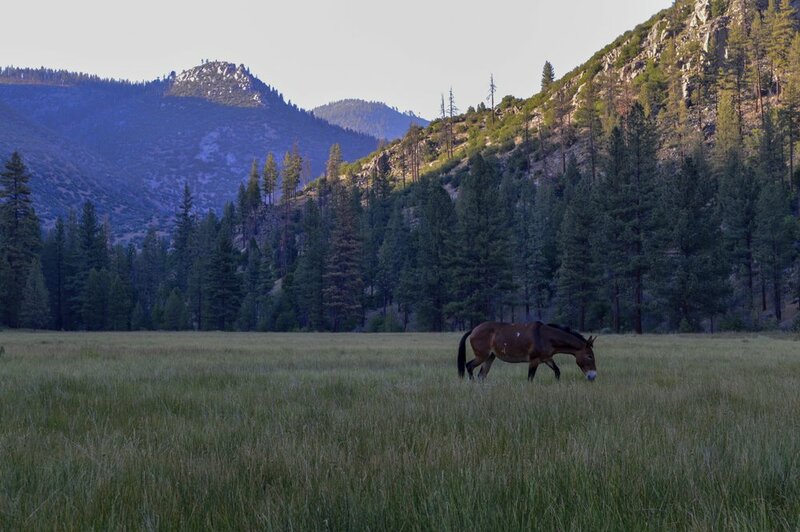 From there, a 3 hour horseback ride will take you to our second camp at Little Whitney Meadow, where you can catch true native California Golden Trout. This ride can be arduous for infrequent riders but anybody that gets to visit this location finds it well worth it. It is a two-day charge for drop/spot trips to this location. Join California Department of Fish and Game’s challenge to catch six different native California trout in their historic drainages and receive a personalized certificate with full color images of the fish you caught by renowned illustrator Joseph Tomelleri. On this trip we can get you half way there! We give you the opportunity to catch three subspecies of fish that are all native and heritage populations; the Little Kern Golden, the Kern River Rainbow and the California Golden! Tucked far back off the main trail, this camp is extremely secluded. Faster pocket water but quantity and quality fish! Almost no angler pressure! Our guests love how secluded it is. This is a 14 mile, 5 hour ride into camp. This a great trip for families. Warmer water on the lake side and jumping rocks on the river side make it a favorite for children. Hike over to nearby attractions, lay on the sandy beach, float in the lake, or fish for Kern River Rainbows and Browns. It is 16 miles into the backcountry and roughly a 6-hour ride. It is a two-day charge for drop/spot trips to this location. A great trip for weekend warriors! Camp is at lower Maggie Lake but there are two other 9,000 foot lakes to explore just minutes away by foot. All lakes hold rainbow and golden trout hybrids. Or, you can bag Maggie Peak at 10, 042 ft. if you’re feeling adventurous! This is a nine mile, 4 hour ride into camp. Looking for a shorter ride but still itching to fish the Kern? Camp along an expansive meadow next to the Kern. Faster water but plenty of pockets holding nice sized Kern River Rainbows. Stunning scenery and swimming holes; it is a beautiful section of the Kern. It is roughly 4.5 hours to reach camp by horseback. Enjoy a second camp at Painter’s, a scenic two hour ride away. Two 10,000 ft. alpine lakes holding a lot of Brook trout. The lakes accommodate both novice and experienced fisherman and are extremely fun to fish. Catch hungry, little guys in the lower lake and big, aggressive trout in the Upper! Cross “On Top of the World” to reach the lakes and enjoy incredible views of the East side range along Hwy 395. It is a 9 hour ride that can be completed in 1 or 2 day(s) according to preference. 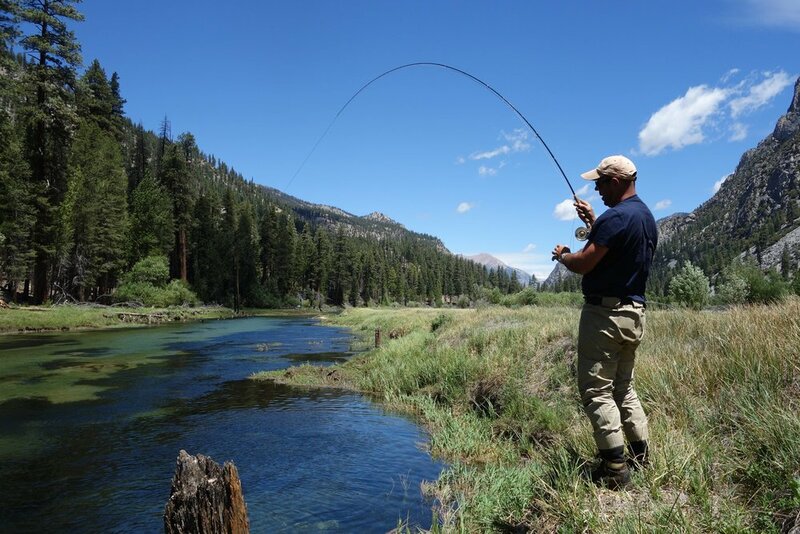 Several tributaries to the Little Kern offer great fishing for Little Kern River Goldens. These fish are typically less than 8 inches in length but full of fight. Access to remote fishing spots can be reached in as little as 4-5 hours. This area also offers great deer hunting. It holds Mule/Black-tailed bucks pushed down by late season storms. We have several camps within this area allowing us to put hunters in spots that are not crowded or heavily hunted. Familiar with the Golden Trout and have somewhere specific in mind? Looking for something else other than what we’ve described above? Email Us with your inquiries. We take trips all over the Little Kern and Kern River drainage and are willing to work with you. Other great locations include: Grasshopper Flats, Funston Meadows, Forks of the Kern, Columbine Lake, and the Little Kern Bridge.